MBLAQ’s First Solo Concert, Sold Out Seats Lead to The Speculation of Adding More Concert Dates! On the 21st of June at 8PM, MBLAQ’s popularity was shown when the tickets at INTERPARK for the Men in MBLAQ concert were sold out in under one hour. There was extreme competition for tickets as not only fans in Korea, but international fans as well sought to buy tickets for the concert. MBLAQ’s company JTuneCamp expressed, “International fans who couldn’t get tickets are constantly asking questions.” They also added that this concert was meant to have one show, but due to fans constant support, the company is discussing whether to add more dates to the concert. This Men in MBLAQ concert has planned a concept of having the universe’s greatest performance with the 5 best performers. The teaser “Braniac Mir” released on the 21st of June started off the trail of teasers of the 5 boys that will be released, and the rest of the members’ individual concepts will be showcased soon. MBLAQ’s first solo concert, Men in MBLAQ will happen on August 20th, opening at 5PM. BigBang not coming for concert this coming June in Malaysia?! Just received this news about YG company replied that BigBang and 2NE1 are not coming to Malaysia. In the email, “there is no prearranged plan that neither bigbang &2ne1 have a fanmeeting/showcase in Malaysia”. Is it true? or just pranking, scamming around? Is up to you guys to guess. Personally, i guess that the information from the tweet, i believe with 50-50. So, what say you? 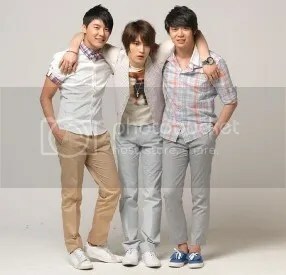 Jakarta – JYJ’s decision to cancel their concert in Indonesia seemed to be resolute. This cancellation was because JYJ’s management disappointed with the promoter. So, rather than ruined their artist’s image, management choose to cancel the concert. From the letter that was written by JYJ’s management, C-Jes Entertainment in c-jes.com, Monday (28/3/2011), they admitted that they had problem with the promoter, Dreamcatcher Indonesia. Promoter was said couldn’t fulfill their requests. Actually, they had give warnings to the promoter in regard to the contract before. But still, there was no agreement to be attained between them. Finally, management choose to step back for their artist’s virtue and benefit. The promoter who would carry out the concert in Sentul International Convention Center, Bogor at 2011, 9th April had yet to give another confirmation. And the matter concerning the ticket refunding had been not settled yet. This is the official announcement of Worldwide Tour – Indonesia’s cancellation. Last Saturday, 26th March, we informed Indonesian promoter about the cancellation officially. We warned Indonesian promoter several times about their non-fulfillment of the contract. However, they kept breaching the articles in contract so that JYJ has no choice but cancellation because we cannot find any smooth progress for the concert preparation. We tried our best not to cancel the show for many fans waited for JYJ but there are too many factors which could possibly make JYJ’s impression bad. JYJ feel so sorry that they cannot meet Indonesian fans this time. We do know that there are rumors about Singapore concert. We are on process of changing promoter there and negotiation in Singapore at the moment. Please be patient for our official announcement for Singapore concert. Indonesia is the only place that has been cancelled so far, and we will let you know about changing or adding places to go for. Detikhot had tried to connect with Public Relation Dreamcather Indonesia, Triana for this confirmation, but there was no answer. Triana then inactivated her cell phone after detikhot gave electronic messages. All JYJ fans who asked Dreamcatcher Indonesia by twitter had not been answered too.